It’s weird to think that what I see can be very different to what the person next to me is seeing even if we are looking at the same thing. I guess we all perceive things slightly differently. Nick and I regularly have the blue/green argument because our boundary point between these two colours is definitely not in the same place. I recently read about a very successful artist called Steven Wiltshire who certainly perceives things very differently to me. Steven can take a 20 minute helicopter flight over a city, observing the skyline from a birds eye view. On returning to his studio he is able to draw an accurate picture of the city scape from memory, every building and street mapped out accurately on his large canvas. 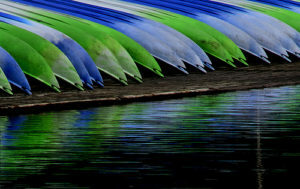 His visual perceptual skills are like a super power, and he has made his living using them. He’s also autistic. It’s very common for young autistic children to get incredibly interested in things that most children do not. They might repetitively spin the wheels on their toy cars, or carefully line up their toys into long rows on the floor. Some children may spend hours watching the washing machine go through its wash and spin cycles. Things which would not captivate a typical child can be perceived as exceptionally fascinating by an autistic one, to the point where they become so engrossed that it can be hard to connect with them in that moment. We have a large shiny stainless steel pot and when we have family meals we often plonk it on the table and serve dinner directly from it. This became a problem when Edward was little as the pot was incredibly distracting, even though he loved his food and had a fantastic appetitie he tended to get very preoccupied by the pot. He would rock forwards and backwards and side to side sometimes quickly putting his face right up to the surface of the pot. I think he was busy looking at the reflections and seeing how they changed with his abrupt repositionings. In the end we nearly always had to remove the pot from the table in order for him to concentrate on eating his food. None of our other three kids ever found the pot even remotely interesting. Edward is also my only child who injured himself in the pursuit of physically engaging with his own reflection. I was busy in the kitchen when he toddled through aged about 3, crying his eyes out. “What’s wrong?” I asked him. His response was “the.. (sob).. (re) flection..(sob).. hit me”. It was a dark winters day and he must have been busy studying reflections in the floor to ceiling window, moving his head backwards and forwards towards it at speed and the inevitable happened… he head butted the window with force. I’m glad it was made of toughened glass. One summer holiday just before Edward started school we went to France to stay with our friends Bill and Val. They had a book about mushrooms on their book shelf which Edward took a fancy to. On each page there was a picture of a mushroom and some information about how common, how poisonous and how tasty each mushroom was. This information was presented using a neat little bar chart at the bottom of each page, underneath the picture of the mushroom. The book was written in French, so neither Nick nor I could read it to Edward despite him asking us repeatedly to do so. We were however, able to explain what the bar chart on each page meant about the corresponding mushroom. Edward, who was still only 4 years old, absolutely loved that book and pored over it for hours. One day he showed me that although the mushrooms on pages 4 and 73 looked identical, one was fatally toxic and the other one was quite harmless. 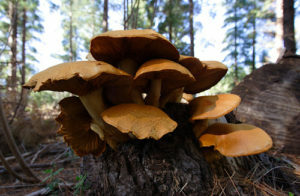 He’d also discovered that the mushroom which ranked as being the tastiest was also deadly poisonous – we spent a lot of time discussing how this set of facts must have been discovered and decided that we would definitely leave mushroom foraging to the experts. I know that even if I had spent twice as long as Edward, studying that book I would not have been able to store all the information about those mushrooms in my memory banks, cross referencing the information to discover similarities and differences in the way that he did. Sure, I could have worked the information out, but I would have needed an excel spreadsheet to fill in before I saw all the interesting links. When I think about Edward’s capacity to store and analyse information I have to conclude that although autism is viewed by many as a disability, for some people autism can lead to some very unusual abilities, and in cases like Steven Wiltshire, astounding super abilities, which in my view should be celebrated and enjoyed. OMG I absolutely loved this post. I am going to share those super abilities with my son. We have spent such a long time getting him to focus on his autistic super powers and stop seeing autism as a negative almost ‘dirty’ word. Autism can be amazing too! 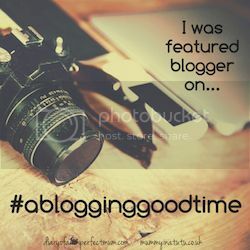 Thank you for linking up to #ablogginggoodtime ? How lovely that his interest in mushrooms allowed him to share with you what he had discovered, and opened up a discussion of what he had learnt. I did an Italian cookery course at the beginning of the year, and really struggled with the names of the different mushrooms – his knowledge would have come in really handy! Thanks for your comment Helen. An Italian cookery course sounds amazing.I hope you enjoyed it and that your loved ones are enjoying what you learned! My son is definitely an information sponge… I am more like an information sieve by comparison!